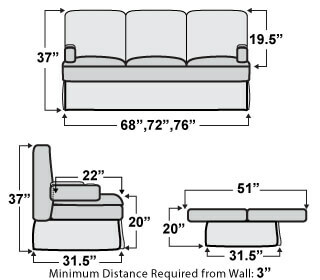 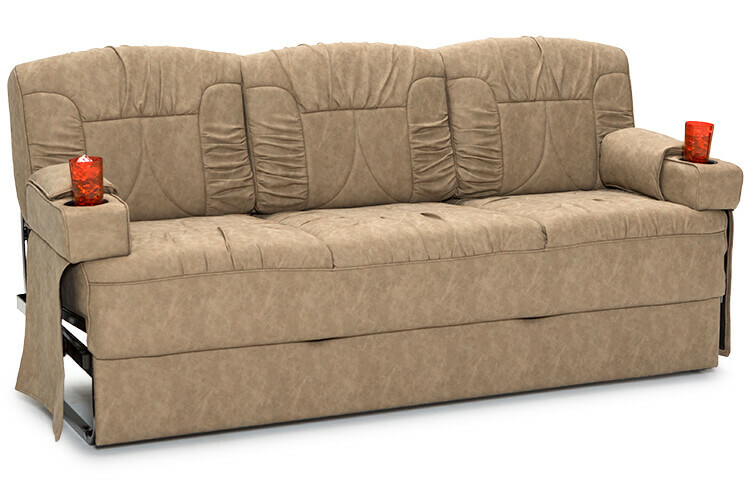 The Belmont sofa beds are designed to match the same Class-A standards as the De Leon series of RV captain’s chairs. 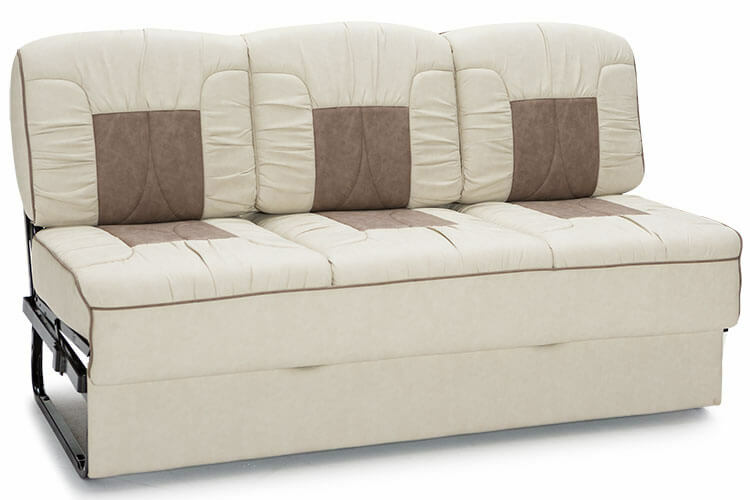 They both boast the same plush feel for the utmost in comfort, matched by a charming two-tone visual scheme and durable construction. 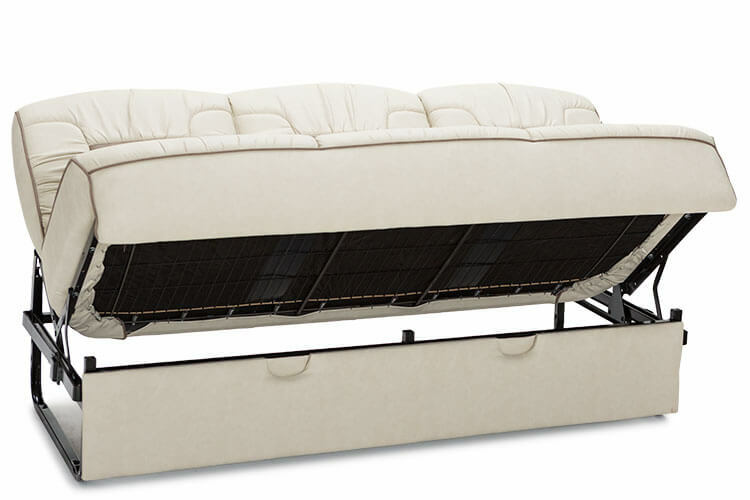 The removable arms are set inside the sofa frame, allowing for greater sleep space on the bed. 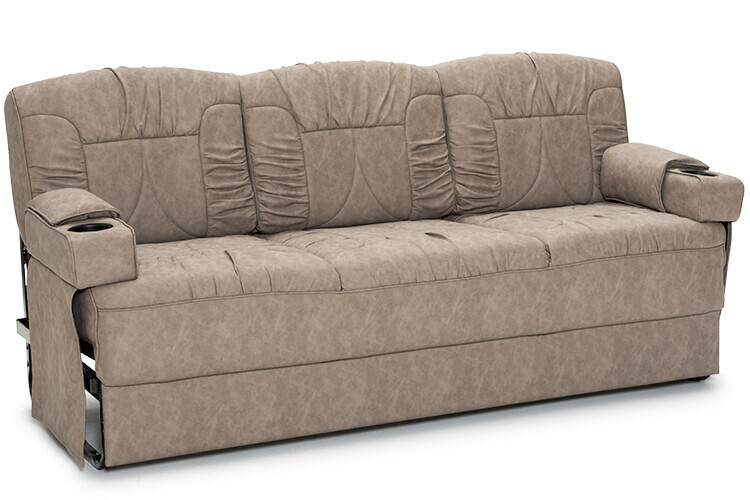 In addition, cupholders add a touch of real movie theater excitement. 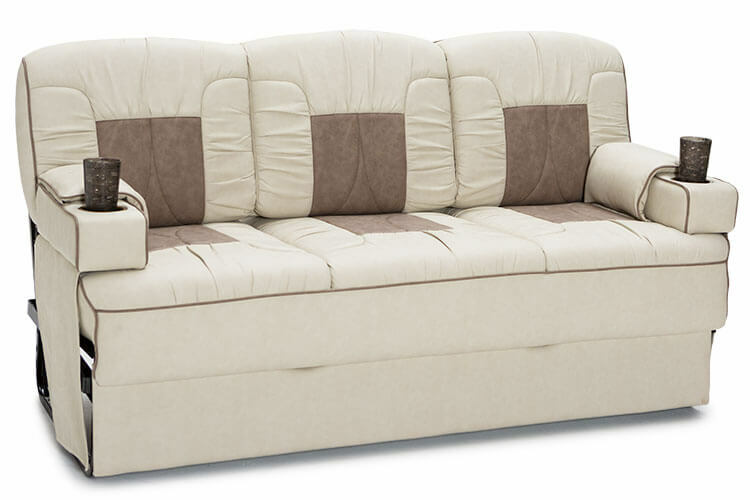 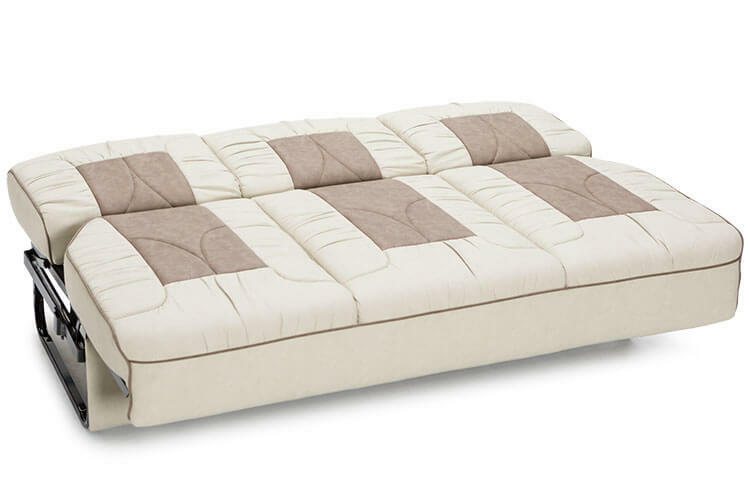 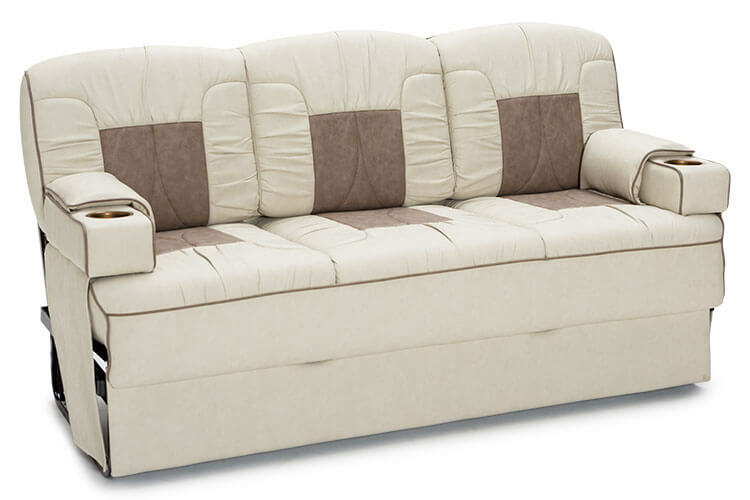 With its twin emphasis on luxury and quality, The Belmont RV sofa bed is quite simply the best.